Properties in White Birch Vineyards Tasting Room average 4.7 out of 5 stars. Escape to this little gem and spend time on the water. Property 4: Escape to this little gem and spend time on the water. Syracuse NY , Cross Lake Cottage Lake Front 2 Bedroom Sunset Bonus!!! Property 5: Syracuse NY , Cross Lake Cottage Lake Front 2 Bedroom Sunset Bonus!!! Sunset Bay:"A Quaint Bungalow by the Lake"
Property 9: Sunset Bay:"A Quaint Bungalow by the Lake"
Property 11: Enjoy the best of the Finger Lakes!! Time to book 2019 before it's gone!! Charming Waterfront Cottage on West side of Owasco Lake! Property 14: Charming Waterfront Cottage on West side of Owasco Lake! 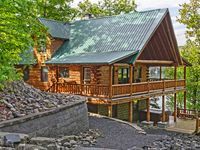 Lakefront Cottage in Private Setting! 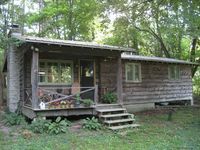 Property 17: Lakefront Cottage in Private Setting! Property 28: One of the most beautiful spots on the east side of Cayuga Lake. Stonepoint: "Spacious Weekend Wine Trail Retreat"
Property 31: Stonepoint: "Spacious Weekend Wine Trail Retreat"
Property 32: Wonderful Lake House Life: Lakeside Family Living on Cayuga Lake! Holiday Cove: "A Great Place for a Family Vacation"
Property 33: Holiday Cove: "A Great Place for a Family Vacation"
Serene, relaxing waterfront cottage to melt your troubles away. Property 34: Serene, relaxing waterfront cottage to melt your troubles away. Cottage with Guest House Near Marina on Owasco Lake! Property 37: Cottage with Guest House Near Marina on Owasco Lake! Finger Lakes -Sunset Cottage on beautiful Cayuga Lake! Property 39: Finger Lakes -Sunset Cottage on beautiful Cayuga Lake! Tranquility Base: "Cayuga Lakehouse 1 Mile from Aurora Inn Wedding Venue"
Property 43: Tranquility Base: "Cayuga Lakehouse 1 Mile from Aurora Inn Wedding Venue"
Wake up to Beautiful Tuscan Views! Golf Packages Available! Property 44: Wake up to Beautiful Tuscan Views! Golf Packages Available! Comfortable Owasco Lake Cottage for Rent! Property 49: Comfortable Owasco Lake Cottage for Rent! New Vacation Rental Listing at Indian Cove! Property 50: New Vacation Rental Listing at Indian Cove! We stayed in early December and the cottage was perfect for us, specially the fact that it was pet friendly so we could bring our lab. It is a great location, just a short walk down to the lake and also very close to the village. Bed is very comfortable and cabin has all the amenities you would expect. We happened to meet one of the cottage owners at Rosalia&rsquo;s who gave us some great tips on food! We enjoyed coming this time of year as it is quiet, yet many activities are on going. All the local folks were super friendly. We visited many wineries and breweries that allow pets. As YMCA members we took advantage of the nationwide reciprocity and used the the Skaneateles Y which has awesome skating rinks. If you are new to the area (as we were) check out the recently opened visitors center in Auburn which provides lots of information. All in all a great time and we will back at this cottage in the spring! Wonderful cabin on several levels. Enjoy the outside fire pit, Hot tub, amenities galore. We came for a family reunion and booked the lodge and cabin. They are just across frrom each other, yet separate if you like your privacy.